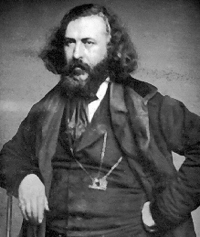 Credited not only with overhauling the Scottish Rite, but with also writing all kinds of crazy nonsense if you believe what tinfoil hat wearing undereducated conspiracy nuts say, Albert Pike was quite the polarizing figure. He was a Captain in the cavalry regiment of Arkansas Mounted Volunteers during the Mexican-American war, an American attorney, author, Confederate General in the Civil War, Freemason, and Sovereign Grand Commander of the Scottish Rite (Southern Jurisdiction). 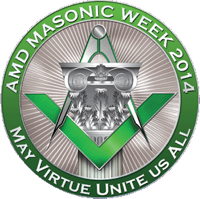 The schedule for Masonic Week 2014 is up! The 2014 Masonic week beings February 12 with the the Masonic Order of Athelstan, Province of USA and runs through February 16, concluding with the Worshipful Society of Free Masons, Rough Masons,Wallers, Slaters, Paviors, Plaisteres and Bricklayers Bull Run Quarry Assemblage (VA). This year the hotel is the Hyatt Hotel located in Reston, Virginia. According the Christopher Hodapp’s blog, Freemasons for Dummies, there are many choices for breakfast, lunch, and dining within easy walking distance of the hotel. There is also shopping for the ladies.